Job openings at the Veterans Affairs Department continued to climb to nearly 49,000 vacancies, according to the most recent agency data, despite a focus on hiring and net increases in staff. VA’s vacancies jumped by 5 percent from Sept. 30, 2018, to the end of the year, even while it saw a net increase of 3,000 employees in the same timespan. The number of vacancies has increased by 7 percent since June 2018, when VA first started publicly reporting the data as required by a reform measure President Trump signed into law last year. While new hires outpaced departures at the agency, VA said the overall number of unfilled jobs continued to climb because of turnover and workforce growth. The department now has a total of more than 420,000 authorized and budgeted full-time equivalent positions, an all-time high. The 380,000 workers VA now employs marks a 28 percent increase from 10 years prior and a 61 percent jump from 15 years ago. Still, lawmakers and employee representatives have continued to pressure VA over its inability to fully staff up in light of budget increases and new hiring authorities. The 11 percent vacancy rate at the Veterans Health Administration is of particular concern to those constituencies, who have implored VA to boost its ranks of physicians and nurses as it also seeks to enable more veterans to access health care in the private sector. The nearly 43,000 VHA vacancies marks a 22 percent jump from the 35,000 figure VA officials cited in 2017. 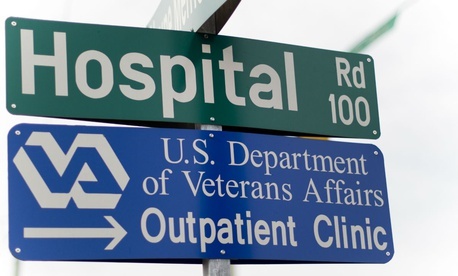 Curt Cashour, a VA spokesman, said the department’s 9 percent turnover rate is better than private sector health networks, but its continued growth makes filling all vacancies difficult. He noted that 35 percent of VHA’s systems decreased their vacancies in the most recent data report. Cashour rejected that premise, noting the rate of VA appointments in the private sector actually fell to 34 percent in 2018, from 36 percent in 2017. The department in January released new standards by which veterans can access private sector care on the government’s dime under the Mission Act, the reform bill Trump signed last year, but has repeatedly condemned any suggestion of privatization as a “myth.” Veterans living more than a 30-minute drive on average from the nearest VA facility can use a pre-approved network of private providers for services such as primary care, mental health and non-institutional extended care. Even with the new standards, which generally drew praise from veterans service organizations, Cashour said VA “does not expect a significant increase” in the number of private sector appointments. The Trump administration came under fire last year when Democratic lawmakers accused VA of restricting hiring at local facilities. The department rejected those claims, saying it only issued a hiring freeze at its central office. Congress has provided VA with several tools to boost its recruiting efforts, including by allowing the department to make jobs offers to students and recent graduates and vastly expanding direct hire authority. VA said it will continue to address vacancies as it “ramps up hiring” in implementing the Mission Act, though it maintained that vacancy rates on their own are not the proper metric for tracking performance.